Nothing may be more traditional than a rose on Valentine's Day, but there is another flower that is equally, if not more, deserving of such recognition. Nature's own Valentine. 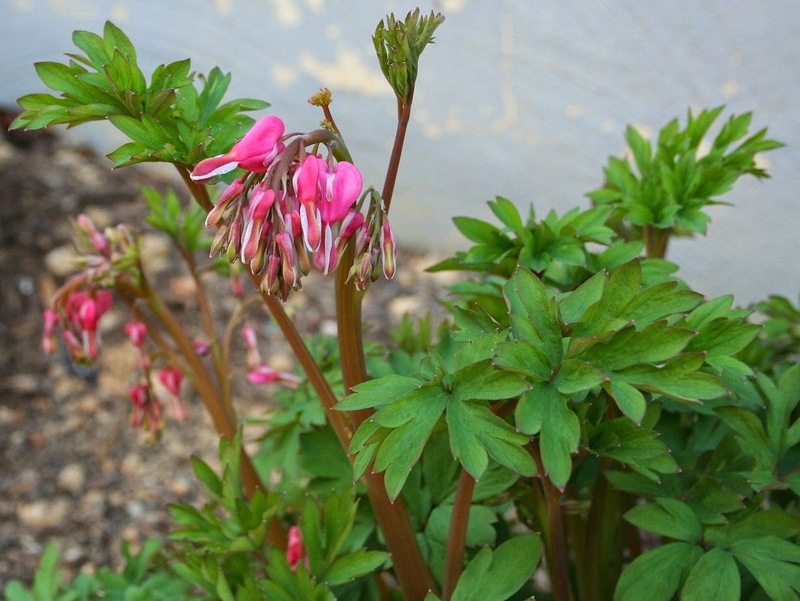 Scientifically classified as Dicentra Spectabilis, in the spring this perennial plant bears heart-shaped flowers in pink, white, cherry, or red with white inner petals. 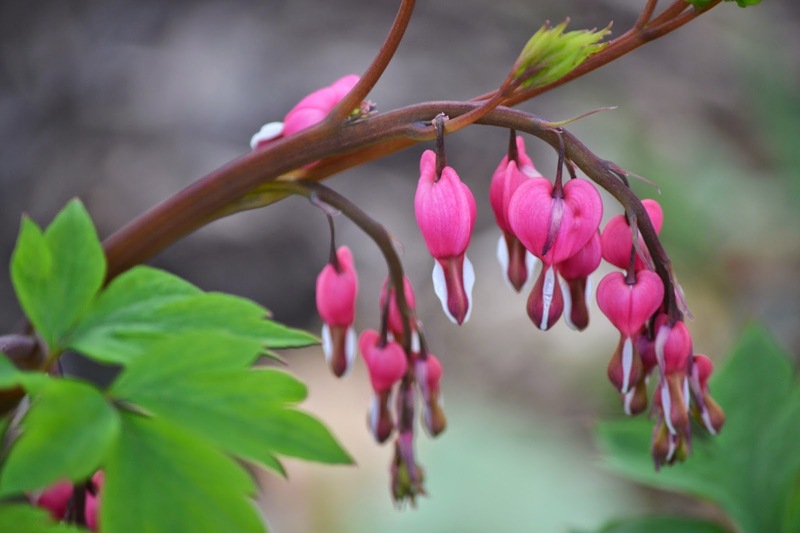 It generally grows 24-36 inches tall and 36 inches wide and has long been a lovely staple in a full to partially shaded garden. Did you know that's it's also known as 'Dutchman's breeches', 'Valentine flowers', and my personal favorite, 'Naked lady-in-the-bath'? You see, if you turn an individual flower upside-down and gently pull the sides apart you'll expose a lady sitting in her bath! If given the opportunity, I know you are going to try it! 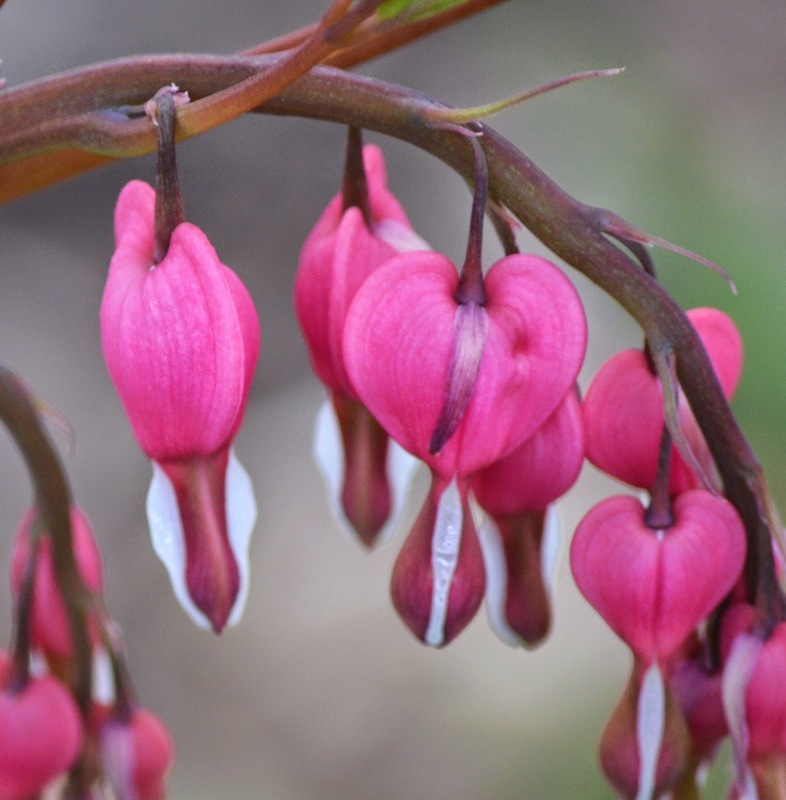 Bleeding Hearts are very easy to care for. Give them a bit of acid based fertilizer in the early spring when leaf growth begins, and just keep them well watered throughout the summer. It's wise to divide them every 2-3 years either in early spring or fall since they can get rather large. 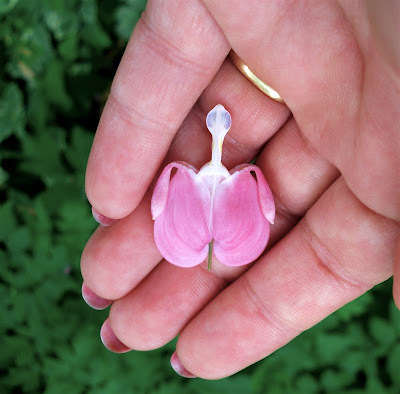 "Flowers are loves truest language"
I love Old Fashioned Bleeding Hearts! And you're right, come this spring when mine bloom, I will probably look for the "Naked Lady in the Bath!"